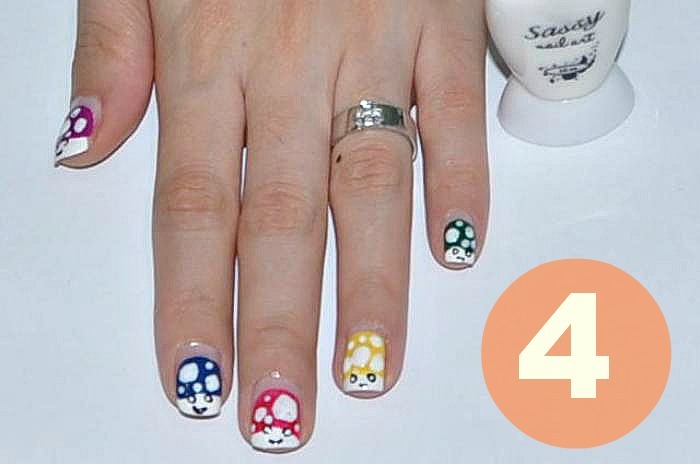 beautyamare: Halloween Special: Colorful Mushrooms Nail Art! Halloween Special: Colorful Mushrooms Nail Art! Here's how to do the Halloween MUSHROOMS nail art that you will have fun with! STEP 1. Prepare the lacquers needed; green, yellow, red, blue, violet, white and black lacquers. Prep your nails with your base coat as usual. Then paint your nails with a sheer pink lacquer, this step is optional though. STEP 2. Get your white lacquer and create a thick french tip. 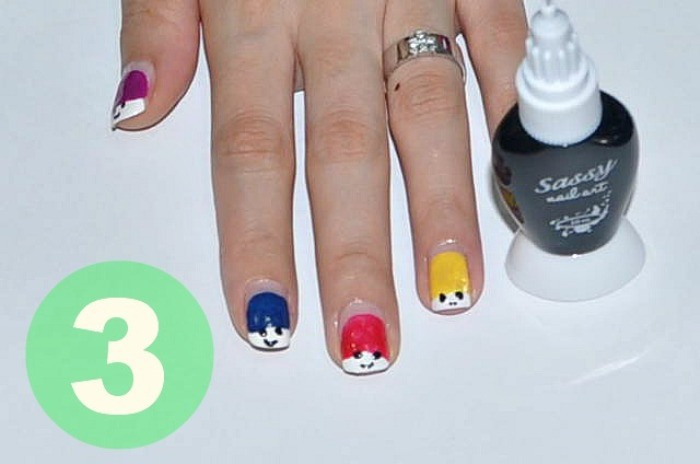 Once dried, get your colorful lacquers and paint little mushroom heads or create a half-moon like design on top of the french-tip using different colors on each of the fingers. Let it dry. STEP 3. Get your black lacquer, and create small dots for the eyes and curved line for the smile. You can make the eyes and smile differently to make it more fun and cute. STEP 4. Get your dotting tool and white lacquer, then dot your mushroom heads or half-moons with big and small dot sizes.Seal in your design with your top coat, this will create shiny and glossy mushroom heads!